The Blog of Thog: The Sequel - Just THREE Questions! Following up my last blog post, where I ranted about being asked "just two questions" by a person in telesales, I was rung up the other day - at dinner time - by a lady who promised that she just had three questions to ask me. As may be obvious, particularly to anyone to read the last post, I have a very low tolerance threshold for telesales, but, thinking that I might be able to get another blog post out of it, I decided to run with the call and see how far I could manage. So, the lady asked "Can I ask you just three questions?" "Do you live at [my address]?" she asked. Nice easy one for starters. "What's your age bracket? 20s, 30s...?" "30s." I said. Again, no problem with this. "What bracket is your household salary?" she asked, following this up with a list of options. I picked whichever bracket we fall in. "Have you EVER had a loan or mortgage?" "Who is your broadband provider? Sky, Virgin, or TalkTalk?" she asked. "None of those, " I said, "we're with Kingston Communications." Something you need to understand for the next bit - in Hull in the UK, we're on a separate landline phone network to the rest of the UK. The rest of the UK is with British Telecoms, but we're not. In times gone by each city would have its own phone network, but over time all of them, except for Hull, formed a single big network. The effect of this is that 99.9% of the internet providers in the UK don't offer internet in Hull. I just tried using uSwitch to search for broadband providers, and instead of the usual choice of 70-80 deals, it gave me a choice of one. So, she then asked me "Would you be interested in saving money on broadband?" "No, I can't change my broadband." I said. She helpfully explained "I'm not saying do you want to change your provider, I'm asking would you like to save money on your broadband?" "No, I wouldn't, I'm in Hull and there's only one provider, so no thank you." I explained further. She repeated "I'm not saying do you want to change your provider, I'm asking would you like to save money on your broadband?" "No, thank you, I don't want to." I said, hoping this was the end of this question - particularly bearing in mind the call had definitely included more than three questions at this point. Yet again, she repeated herself. 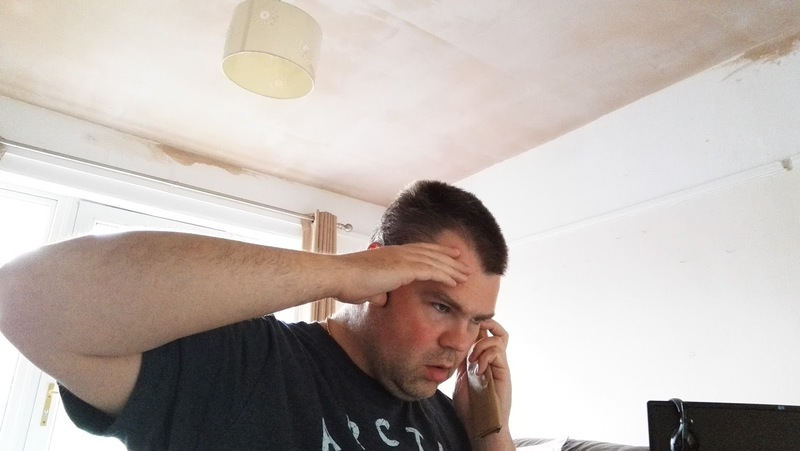 "I'm not saying do you want to change your provider, I'm asking would you like to save money..."
I hope for another call in a few days which this time will have just four questions, so I can keep the blog material coming. Before I go, I should say that Marketing 4 Startups has kindly let me blog on their website about what makes a good blog post, so do feel free to take a look. That seemed like more than three. Definitely - you know what Tim, I'm just a generous soul. The telecoms history is an interesting one. The UK telephone network was managed by the post office except for Hull which was managed by the city council. When privatisation came Hull's network was separate to the newly formed British Telecom. I would have thought by now though it would have been brought or bought in to the main UK infrastructure. We're a bit stubborn in Hull! Over the years sometimes we've been really grateful for not being on the BT network, sometimes... less so!